Opera today released its Webkit based 'Coast' browser for iPad. The Norway based company says that the Opera 'Coast' is the browser that should have come with the iPad natively. Coast is a button less browser which comes with a single search window and the popular websites are displayed on the home screen of Coast. Because it has specifically been built for iPad and is optimized to take advantage of touch screen interface there are no tool bars. To navigate you have to swipe back and forth. This though looks pleasing to the eye may inherently bother users who are used to tool bar navigation style or the URL box. Once you get the hang of it, operating the Coast by Opera is pretty easy. The interface is just like iOS 7 interface where you have to switch back and forth using thumbnails. Swiping upwards will close down the tab. 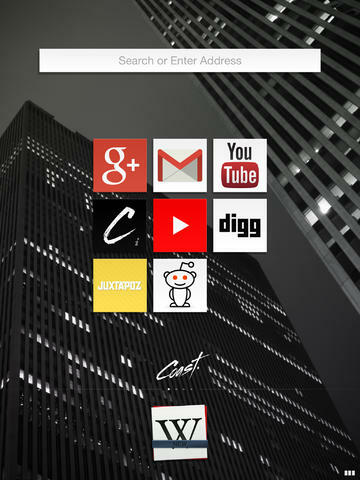 The home screen displays a number of common websites, such as YouTube, Google+ etc. You can tweak with the websites you want to appear on the home screen. Over time much like a normal browser, your commonly viewed pages will also start appearing. Opera Coast uses WebKit, the default engine built into iOS to render pages and does it brilliantly. Opera says the Coast for iPhone and Android are coming soon.